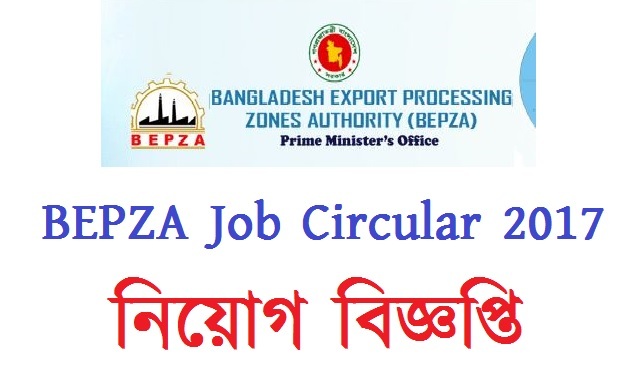 Bangladesh Export Processing Zones Authority BEPZA Job Circular 2017 has been announced. It is an attractive Job in Bangladesh. And BEPZA Job Circular published in Daily Newspaper Ittefaq, bdjobs.com and others jobs site. They have total 06 empty posts. Educational qualification for this posts is JSC Pass to MBBS Pass. And the salary range is 8,250 to 53,060. The posts are Medical Assistant, Phytologist, Lab Technician, Driver, and Ayah. 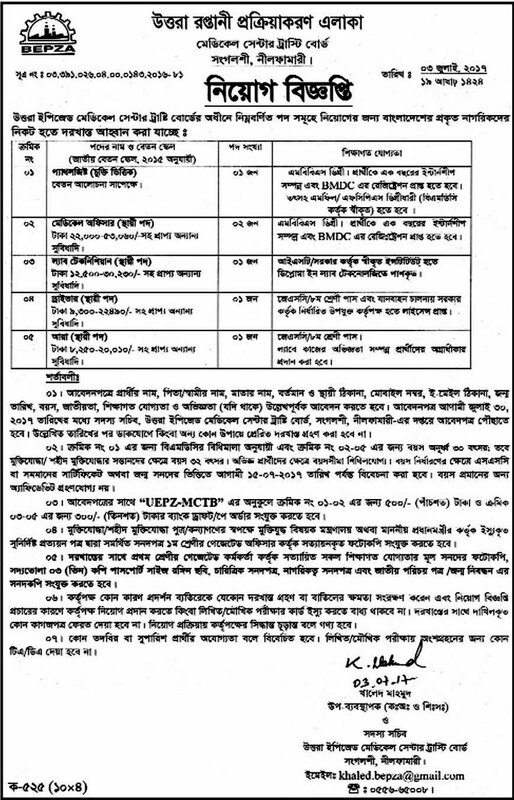 Bangladesh Export Processing Zones Authority Job is one of the smartest jobs in BD. Source: Daily Newspaper Ittefaq, bdjobs.com, and Online Portals. Post Name: Medical Assistant, Phytologist, Lab Technician, Driver, and Ayah. Job Type: Follow the circular. You can download the notice, applications, and circular from their official site www.bepza.gov.bd and also from here Fast Result BD. People Also Searched by BEPZA Job Circular Download, How To Apply for BEPZA Job, BEPZA New Job Circulars, BEPZA Career Opportunity.